Your pro shop is more than just a place for selling products and processing transactions. With the internet, your brick and mortar store is an important part of the customer journey, but it doesn't have to be where the customer journey ends. There are more sales opportunities than you think if you start looking at your pro shop as a testing centre where people can learn about new products or try things out. That's because omnichannel retailing is the key to making product sales outside of the pro shop. When a website makes use of both a brick and mortar location and an e-commerce website we call it omnichannel retailing. 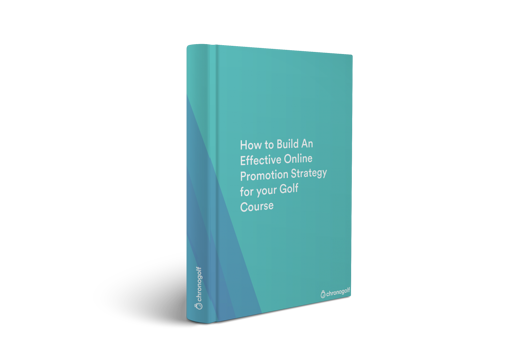 This retail strategy is powerful because it turns every online interaction with your golf course website into an opportunity. Consistency and seamlessness between your brand, social channels, website and physical store are crucial for success in today's world, especially for millennials. 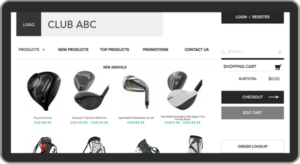 Omnichannel retailing creates a seamless connection between your pro shop and online website and sends a message about the quality and seriousness of your course and its products. Integrating your website with your brick and mortar operation creates a single entity that customers can easily understand, and you can grow your bottom line! Why does omnichannel retailing work for golf courses? From reducing costs to improving customer happiness and increasing sales, there are three main reasons why omnichannel retailing is so beneficial for your golf course. With omnichannel retailing, customers can try out a set of clubs after a round, then go home and see that same set of clubs online when they log in to their member accounts. Now your pro shop staff can focus on giving the best advice and educating customers about their best options. Best of all, good omnichannel technology lets you track inventory between your pro shop and e-commerce site. Purchases on all channels are tracked and recorded appropriately, and your golf POS will tell you when you need to re-order and automatically create the purchase order for you. When you collect data on your customers, whether it be at your golf POS, through online bookings, or from your CRM, you can dramatically boost your online retailing efforts. In today's market, golf courses should be worried about losing business to the big online retailers. These companies track a ton of data and have a lot of resources for delivering the same products in your pro shop. The good news is that no matter how much data they track, they'll never know your specific audience of golfers as well as you do. The fact that you can track birthdays, purchase history, buying patterns, and social media history means you can understand customer product and brand preferences. You just have to start tracking granular data through your golf POS and website. Once you understand a customer's brand preference, you can market products sold both in-store and online. It's powerful when a customer lands on your golf course website and sees the same set of clubs they were trying out earlier in the pro shop. They'll know what to expect when they arrive at your store, even if they don't buy online. If you want to reach the younger generations of tech-savvy shoppers, you need to flexible towards their needs as consumers. Millennials love trying things out in-store and then buying online. View your pro shop as a learning and testing center with these customers. Youngers customers live on their phones, computers, and tablets so reach them where it matters most. Don't forget that your online store is open 24/7. People can access and buy via your marketing channels at any time. It's all about giving your customers choices, let them choose how they want to shop, buy, pay for and pick up their items. How can you turn your pro shop into an omnichannel experience? First of all, ask yourself what customers you would like to reach. You're in a really good place to start omnichannel retailing if you have collected granular data information and segment your customers accordingly. Choosing a good cloud-based golf pos provider will make the transition smooth and will help with collecting better, more detailed data. If your online booking, CRM, website, and golf POS don't align, your omnichannel strategy could crumble. Reduce these risks by choosing a golf POS with that has good inventory management capabilities and integrates with your entire IT system. If you invest in a good in-store POS system, don't skimp on your eCommerce site either. Ideally, it should integrate seamlessly and track data, inventory, and purchases automatically between channels. The goal is to re-create the look and feel of your pro shop between all devices online. Don't make compromises when choosing your omnichannel retailing system. These kinds of investments only pay off if you choose good software that works with all your other IT solutions. Interested in updating your operation? Learn how Chronogolf can help you bring omnichannel to your golf course.